When one says “iOS”, one thinks almost instantly to iPhone, yet the operating system of Apple is the king of the tablets. If you want to create an iOS application available on iPad, you will have to make some adjustments to make it work. Remember to adapt the size of the typographies and the images to the different resolutions of screens to preserve their readability. A typical user has on his smartphone at least a few dozen applications. Just to make it easier to find your app, you should create an icon that stands out from the others. Note that in iOS all the icons are inserted in a square with rounded corners, this is perhaps why the round icons appear particularly well. The buttons must be clearly visible and large for the user to easily aim at. This advice also applies to the creation of applications for all platforms, but in the case of iOS it is especially important. Indeed, Apple devices have no buttons on their hardware. Therefore, any interaction is done directly on the application interface. The return buttons should indicate the name of the section they are sending to, instead of just saying “Back”. For example, if you are in the “Settings”, the return button could send to the “Profile”. This is a tiny detail that nevertheless significantly improves the user experience within the application. An application iOS or Android, we will never cease to insist on this point: test your application to detect (and correct) all bugs and errors. A test with a simulator is not enough. Download the application and try it on iPhone and iPad. You can also use tools like TestFlight to make it easier for complex applications. Of course, when you publish the application on the store, it will certainly contain several more bugs, but the fewer the bugs, the more satisfied your user will be. Your users will also be there to postpone the various bugs they have encountered. The goal is to continually correct and improve your application. Apple rejects applications too simple. An application in webview may be rejected by the store. Of course, having multiple screens will not be enough to create a successful application. Think of introducing a certain ergonomics for the circulation through the application. You do not want your user to be lost in your app, it could push him away forever. Also, the more screens, the more difficult it will be to keep this ergonomics so think carefully! Web sites like InVision allow you to make visual prototypes of your application and thus test its ergonomics. Many mobile users persist in not updating their smartphones, they remain on the old versions of the operating system. Forgetting them would mean losing a lot of potential users. Consider creating an application compatible with older versions of iOS. However, this will not be possible in some cases and this is due to the rules of the Apple Store. Indeed, Apple sets the limits of the retro-compatibilities of the apps and also the guidelines concerning the versions of the operating system. Be planning at this level and do not be surprised by a new version of the OS that would delay the launch of your app. Apple only validates applications developed entirely. He rejects, without mercy, the trial versions. Upload your application with its final name if you do not want it to be rejected. Apple has very strict rules at this level there and the Beta are therefore not suitable for this platform. If you really want to realize a Beta version to test your application with your future users, you will have to turn to Android. Indeed Google Play allows Beta versions and Anticipated Access. As previously stated, Apple has very strict rules for its App Store. For example, it is not recommended to focus on iOS if you are on your first application. Apple works to keep a certain quality on its store and any app not having a sufficient quality risks to be removed. Google Play is more open at this level and allows amateur developers to try out application development without being penalized. Mobile applications that use external third-party data often become unstable and close unexpectedly. Do not panic, it’s quite normal. but you will have to make frequent changes to get rid of these problems. This is why it is recommended that an intermediate API be created for the collection and processing of data. This will allow you to make all the necessary changes without having to wait, each time 7 days, that the App Store validates them (or rejects them). Apple does not allow third-party payment services to be used in its applications. If you want to sell through your application, you have two solutions. You can use Apple’s payment platform, knowing that it takes a 30% commission on all sales. This commission increases to 15% in the second year. Another solution would be to create a small website on which users could make payments. From a technical point of view, iOS gives as many possibilities to create good applications as the other platforms. The most notable differences are seen in user experience and marketing. 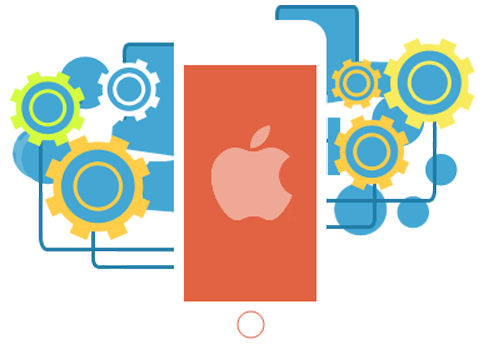 Indeed, if you want to create an iOS application, you will have to adapt your business model to the specifics of the App Store. Do you have any other questions about creating applications for iOS? Do not hesitate to let us know. Posted on October 12, 2017 by admin	This entry was posted in iOS. Bookmark the permalink.